Speleologists call Laos the “Land of a Million Caves”, referring to it’s former official name Laan Saang – “Land of a Million Elephants”. Laos is indeed home to countless such natural wonders. Expeditions to systematically explore Laos’ caves have taken place since the 19th century, and they have gradually demonstrated the outstanding potential for the scientific study of caves in the country. While well over 500 km of caves and giant underground rivers have already been explored and mapped, much remains to be done. Caves have a special meaning in Lao culture and history. From ancient times on, they were believed to be the residences of powerful serpents (naga) – called by the Lao too luuang or phanyaa naak. As a result, many caves have become places for worship. In some caves, one can find large amounts of Buddha statues which were placed there as offerings or in an act of making merit. One of the best known caves for this purpose is the Paak Uu cave near Luang Prabang. In other caves ancient drawings and artefacts, relief carvings on the walls and even inscriptions in the earliest scripts of the Lao have been found. They are therefore of historical and archaeological significance. Stalactites and stalagmites in caves are often interpreted by the Lao to have the shape of the Buddha, a stupa, a meditating monk or certain animals, especially sacred animals like the serpent or the elephant which give a cave special religious relevance. Certain shapes in the ground or on cave walls are often regarded as Buddha footprints. Some caves were used by monks to live in or to meditate in. Meditation in caves, which often are characterised by a total lack of light, inhabited by large colonies of bats, or are believed to be inhabited by demons and powerful spirits, is regarded among forest monks as an excellent test of their faith in the Dhamma and proof of their advanced level in meditation. 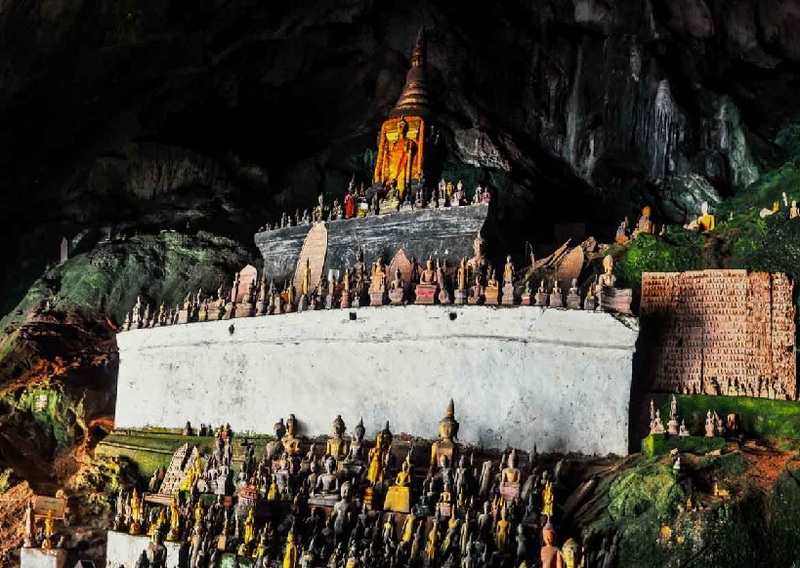 Throughout their history, the Lao have used caves during times of war and political unrest to seek refuge from invaders, and to hide their religious treasures from looters. This is another reason why some caves are still housing Buddha statues and other relics which are worshipped and guarded by local communities. 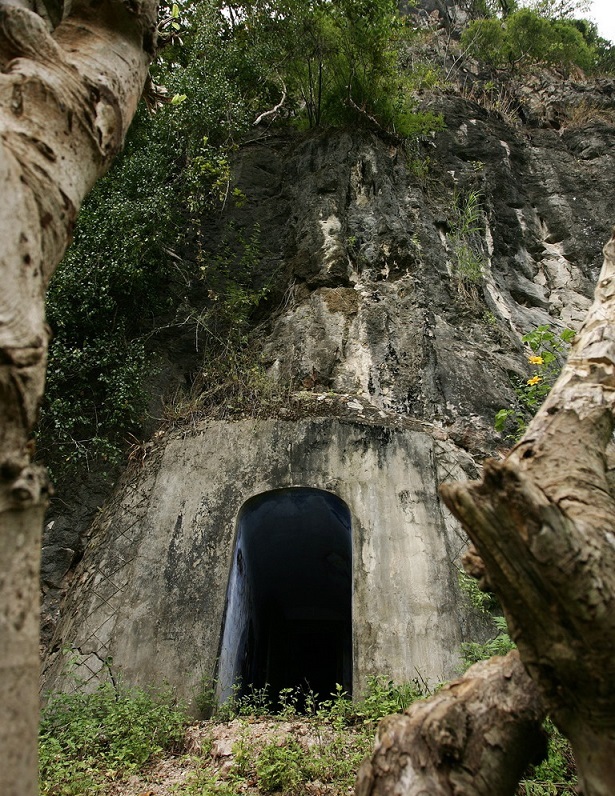 During the Indochina Wars, caves in combination with tunnel systems have helped many people to survive the massive US bombing raids (Laos remains to date the most heavily bombed country in history). In the Viengsai caves in Northeastern Laos, for example, over 20,000 people could hide for a longer period of time, due to the fact that the caves contained a school, a hospital, kitchens, shops, and a theatre. Entrance into one of the caves at Viengsai. Nowadays, selected caves are open for tourists and some caves are reserved for research purposes only. Since 1990, various organisations and groups of speleologists have been exploring the caves of Laos more intensively than before. One of these groups, known as “Explo Laos”, has created a very detailed website to tell the history of speleology in Laos. The collection of printed material in Lao language contains over 300 monographs, most of them dating from 1950 onwards. The highlights of the collection, however, are three of the first books printed in the Lao language in Chiang Mai, Paris and Song Khone (Laos) around 1900. The heart of the Lao book collection is formed by publications of Maha Sila Viravong’s transliterations of literary, linguistic, Buddhist and historical texts from palm leaf manuscripts, for example rare first editions of Nangsư̄ thēt rư̄ang Vētsandon Sādok (Vessantara Jātaka, 1961) Phongsāwadān Lāo (Lao chronicles, 1957), and Nithān Nāng Tantai (Lao version of the Panchatantra, 1957-66). The Library also holds approximately 2000 books about Laos and Lao culture in Western languages, as well as in Thai and Vietnamese languages. These include some rare first editions, like for example de Gerini’s original description of Laos and other parts of mainland Southeast Asia Delle missioni dei’ padri della Compagnia di Gesù nella Provincia del Giappone, e particolarmente di quella di Tumkino (printed in 1663 in Rome). All printed books and periodicals in Lao language have now been fully catalogued and are searchable in the Library’s online catalogue. In addition to printed material, the Library holds 85 manuscripts which are either in Lao language or in Pali, but written in Tham script or in Lāo buhān script. The collection comprises literary, historical and Buddhist texts, most of them written on palm leaves. A small number, however, are in form of folding books made from khoi paper or from lacquered cotton. Included in the manuscripts collection are also some wooden manuscript boxes decorated with lacquer and gold, as well as a few hand-woven manuscript wrappers made from silk or cotton. 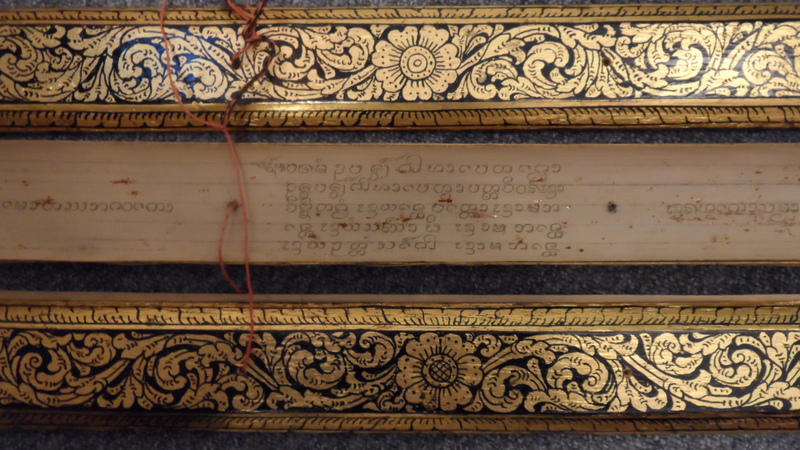 Other minor languages covered in the Lao manuscripts collection include some Tai Lue and Tai Khoen manuscripts. All items in the Library’s Lao manuscripts collection have been catalogued in the online catalogue, Search our Catalogue of Archives and Manuscripts. More detailed information about this Lao collection and contact details can be found online here. The Thai version of the epic is known as the Ramakien. The Rama story is thought to have been known to the Thais since at least the 13th century. 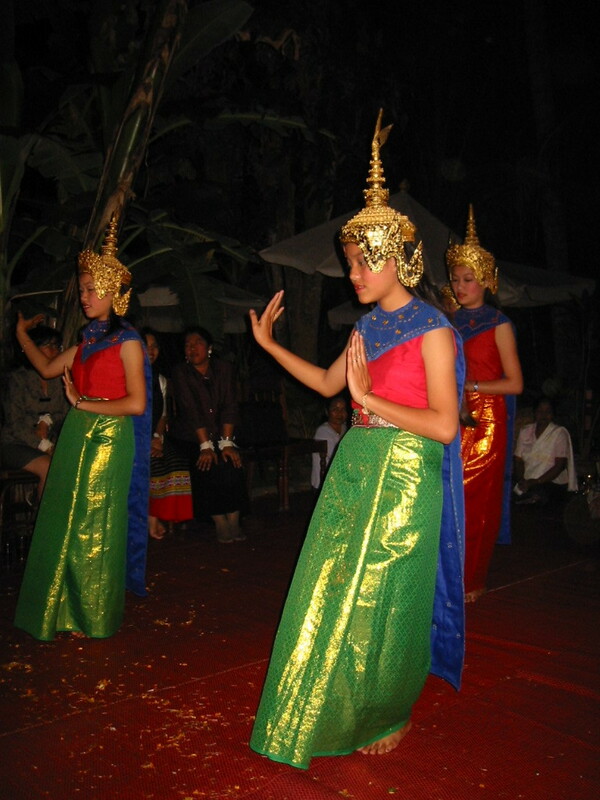 It was adopted from older Khmer sources, hence the similarity to the Khmer title Reamker. Various new versions of the story have been composed, often by royal authors, since the 16th and 17th centuries. However, large numbers of Thai manuscripts were lost with the destruction of Ayutthya in 1767, and the Ramakien known today was compiled only between 1785 and 1807 under the supervision of King Rama I (1785-1809). The famous reliefs depicting about 150 scenes from the Ramakien at Wat Phra Chetuphon (Wat Pho) in Bangkok date back to the early 19th century. Manuscript and mural paintings showing scenes from the Ramakien are particularly famous for their illustrations of the monkey armies. Best known are the mural paintings at the royal temple Wat Phra Kaeo in Bangkok. In King Rama I’s version of the Ramakien all names, places, traditions, and flora and fauna were adapted to a Thai context. In this form, the Rama story has become an epic of national character in Thailand, and it is very popular not only as a literary work, but also as a mask dance (khon) and even TV drama. It has been re-published many times in the form of children’s and juvenile literature, and characters from the Ramayana have featured on series of postal stamps and trading cards. The title of Rama constantly re-occurs in the royal genealogies of Thailand. A stamp issued by the Kingdom of Laos ca. 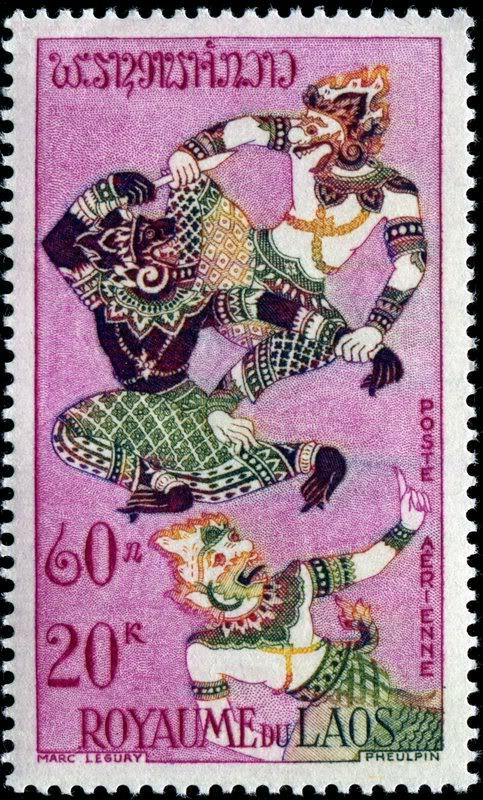 1960 featuring Ramayana dancers. Introductory scene to thank and honour the Hindu gods during a Phra Lak Phra Ram performance by the Royal Ballet Theatre of Luang Prabang. Numerous palm-leaf manuscripts from all regions of Laos containing shorter versions of the Lao Ramayana, Lam Pha Lam, show that the story was very popular all over the country in urban centres as much as in rural areas. These versions were created in order to be sung by a Mor Lam, a traditional expert singer who can melodically recite lengthy poems and epic literature while being accompanied by a Khaen (bamboo mouth organ). In both Thai and Lao traditions, Hanuman was part of a favourite Yantra design used by soldiers and martial arts specialists. The leader of the monkey armies represents strength, stamina, agility, intelligence and devotion. Hanuman Yantras would either be drawn on protective shirts, headbands, battle standards of entire armies, or, most efficiently and durably, tattooed on a fighter’s body. 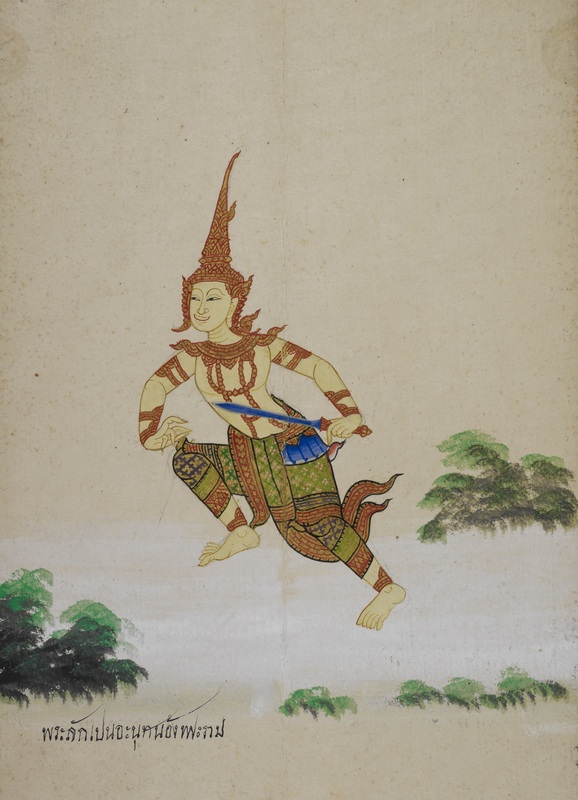 More information about the Ramayana in other countries of Southeast Asia can be found in a series of articles on the British Library’s Asian and African Studies blog. 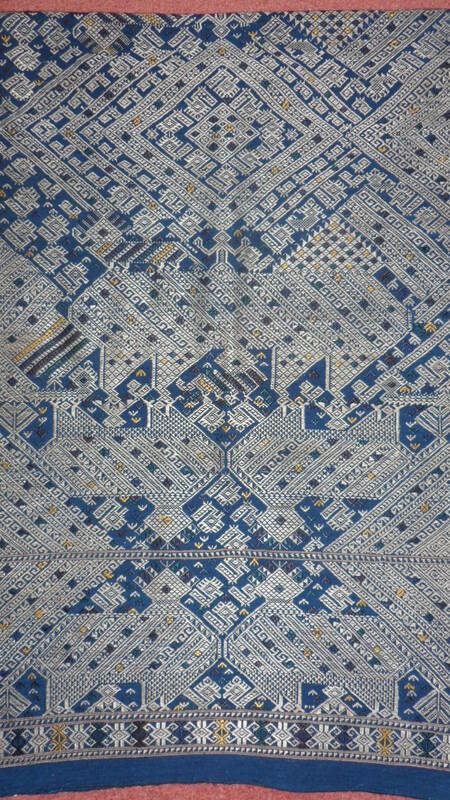 These and various other aspects of Tai textiles are the topic of an online exhibition of material from the SEACOM collections, curated by Jana Igunma and Cholthira Satyawadhna, and photographed by Oliver Raendchen. Read and see more from the online exhibition here. Auguste Pavie (1847—1925) was the French explorer and diplomat, who is best known for his explorations of the Upper Mekong Valley and for playing a major role in bringing the kingdoms of Laos under French control. Pavie went to Cochinchina (now part of southern Vietnam) as a sergeant in the marines in 1869 and subsequently worked in the Post and Telegraphic Department, directing construction of telegraph lines between Phnom Penh, the Cambodian capital, and Bangkok in 1879 and another between Phnom Penh and Saigon (now Ho Chi Minh City) in 1882. While working on the telegraph lines, he travelled throughout Siam, Cambodia, and Vietnam and gained an intimate knowledge of each country’s customs and languages. 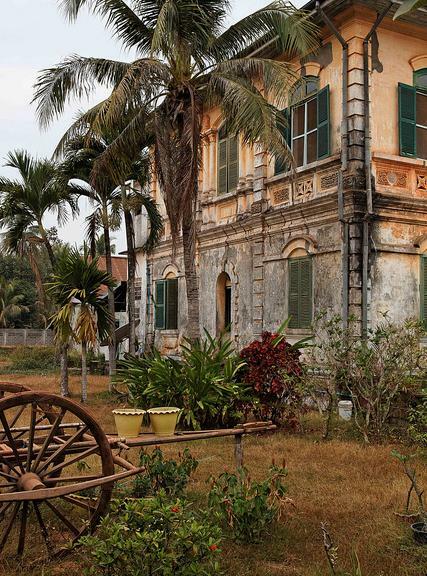 The French government hoped to gain control of the Lao states of the Mekong River Valley and accredited Pavie to the Siamese government as vice consul in Luang Prabang in 1886. During the next five years he travelled throughout northern Laos, winning for France the friendship of local rulers and chiefs and frustrating Siamese attempts to bring the region under control, which was beset by bands of Chinese freebooters (Ho or Haw). From 1891 to 1893 Pavie served as consul general in Bangkok and helped bring about the Franco-Siamese Conflict of 1893, subsequently resulting in all Lao states east of the Mekong River coming under French protectorate. Before returning to France, Pavie conducted an expedition, defining Laos’ borders with China, and with Upper Burma, which the British had annexed in 1886. Pavie’s works include “Indochine 1879–1895” (Paris, 1898–1919) and “À la conquête des coeurs” (1921). An amazing online exhibition and collection of researches by the Archives nationales d’outre-mer in Aix-en-Provence is dedicated to the life and work of Auguste Pavie. Photographer Kees Sprengers, who is well known for his photographic documentations of social life in Laos, particularly of ethnic minority groups, has made vailable online a collection of over 200 photographs taken during a Lantien ordination ceremony in 2009 in Northern Laos’ Luang Namtha Province. The gallery can be viewed online and there are also links to Kees Sprengers’ other photo collections.